Home / Celebrate the Snow! The snow gods are messing with us again. We are supposed to get 6-10, 8-12, 5-6 inches of snow between tonight and tomorrow. Who knows? 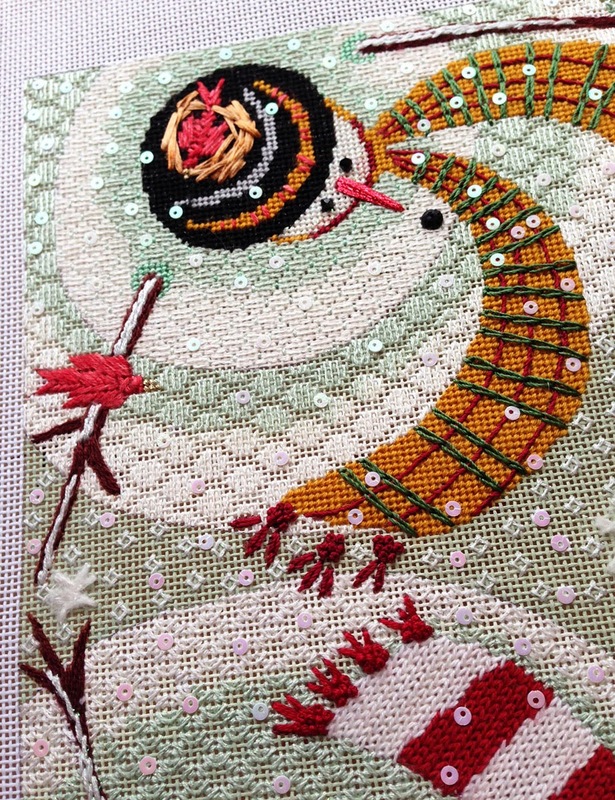 So, what better way to celebrate the snow and probably a snowday than with a brand-spankin new stitchguide of swirling snowmen! 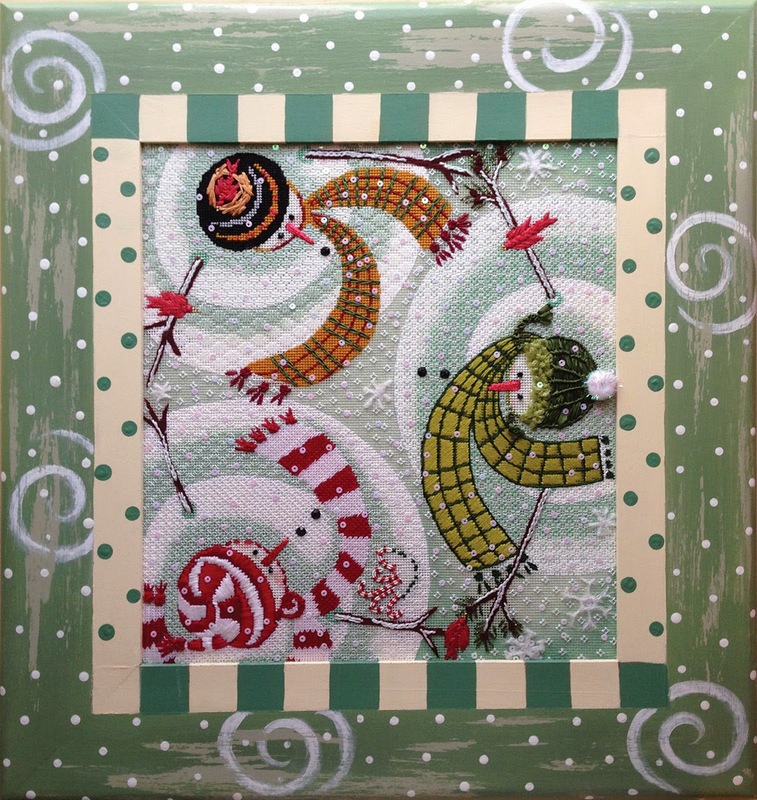 This is a Ewe & Eye canvas, Warm Greetings, that has been waiting to be finished for a long time. Thanks to my mom it is now stitched. 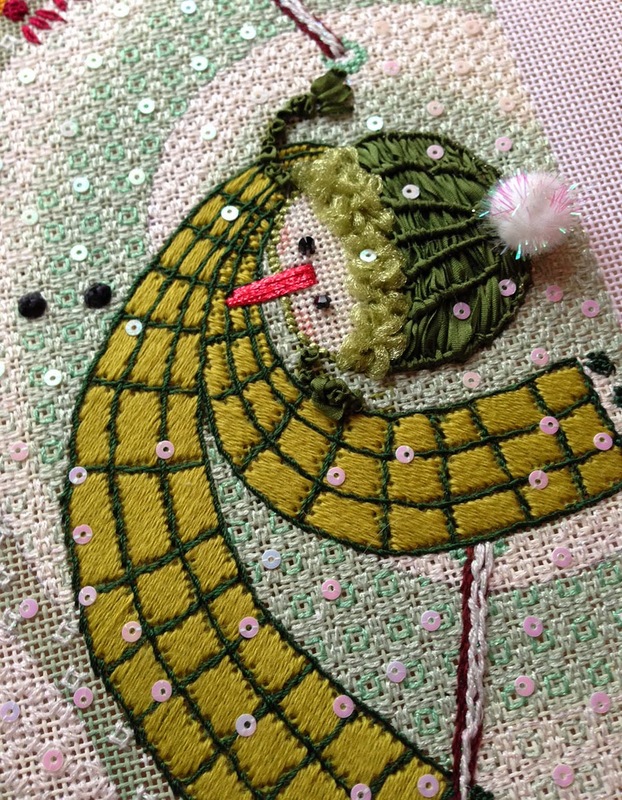 Each of the snowmen is filled with different stitches. 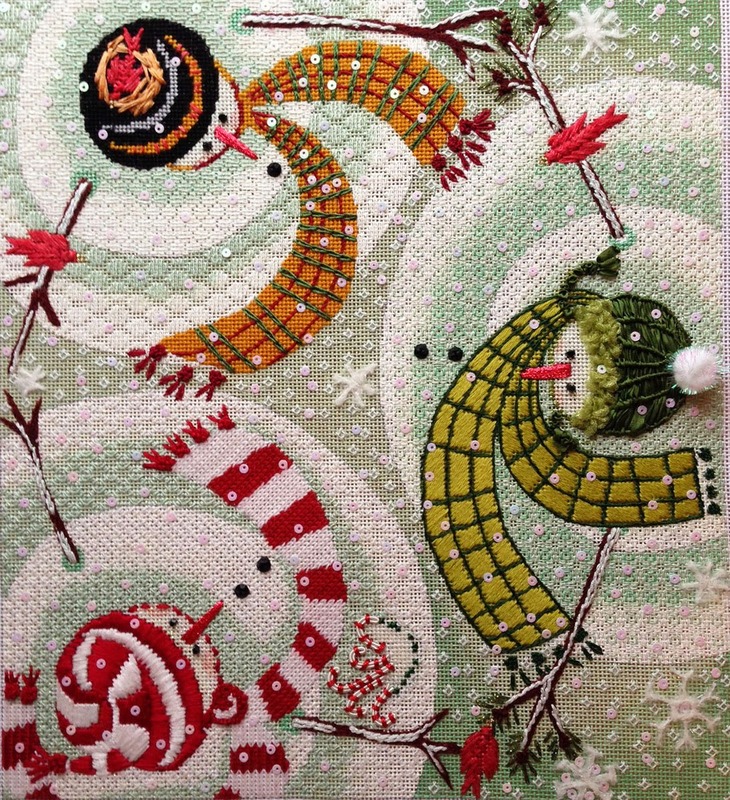 Even the various snowballs that make up their bodies are different, but the stitches coordinate. This was an odd canvas to choose stitches for. 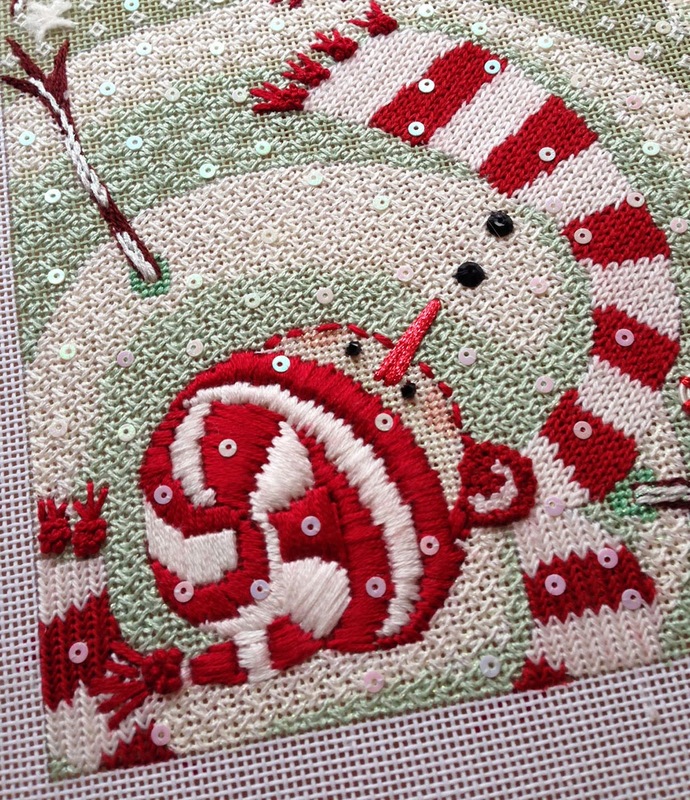 Remember those rules that I always tell you, tiny stitches go back and big stitches come forward. Well, based on that we should put big stitches on their faces and tiny stitches on the big snowballs that make their tummies. That wasn’t going to work…. The aerial perspective of this canvas takes all those rules and swirls them away. However, big stitches do make things look bigger so that rule still applies. The largest stitches are on their bottoms making them look even bigger! I love their hats. Each hat is different and really the star of the show. There’s even a custom painted frame for this design should you decide to frame it to match mine. Wow – love how this turned out!! This is really delightful and just in time for a snow day!